Richard is the founding Vice President and Treasurer of Associated Solo Artists (ASA), Inc (1972). He is also a physicist, a percussionist, and a Principal Artist of Creative Leaps International; and his dual background in physics and music has been the cornerstone of dozens of projects linking the arts, sciences and humanities. He holds Bachelor’s and Master’s degrees in physics from Rensselaer Polytechnic Institute. 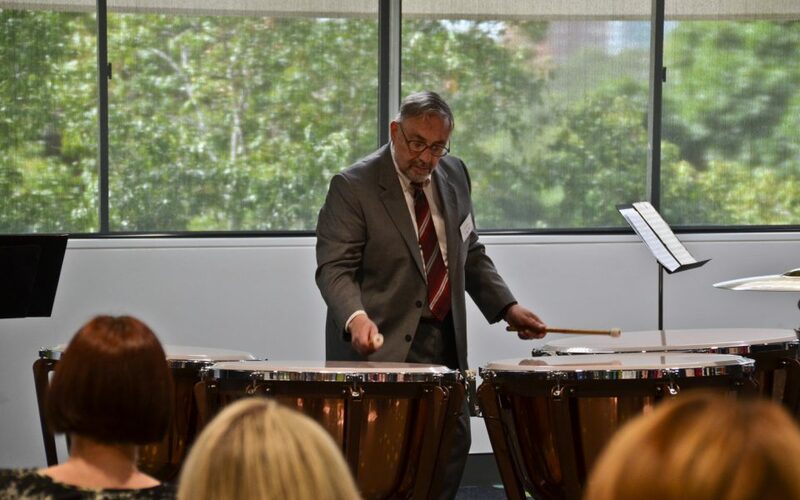 He has also completed advanced studies at the Eastman School of Music, and has performed with the Berkshire Symphony and the Albany Symphony, where he is principal percussionist. Albagli is Musical Director of the Empire State Youth Percussion Ensemble, which has performed under his direction since 1984 to national acclaim (including performances at the Percussive Arts Society International Conference in 1998 and on the nationally syndicated radio show, “From the Top”). He has composed, arranged, and performed more than forty works for ensemble and solo percussion performance throughout his career, including collaborations with other ASA/Creative Leaps artists. He currently holds teaching posts at SUNY-Albany and Rensselaer Polytechnic Institute.